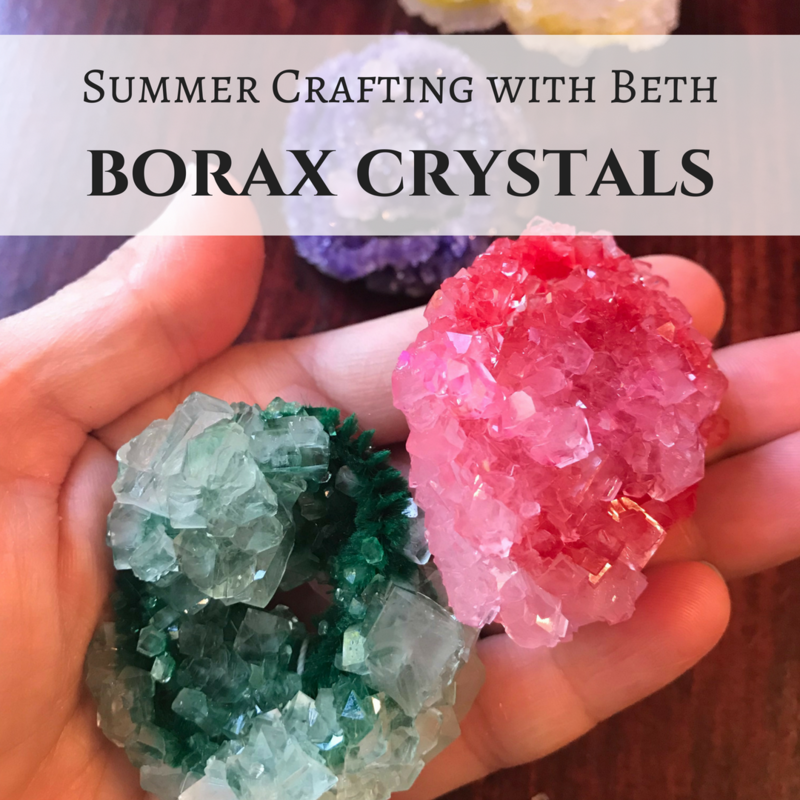 Today we are going to be creating “Borax Crystals.” We will only be using a few more supplies than normal, but all are readily available at your local big-box store. Let’s get started! Gather your supplies. 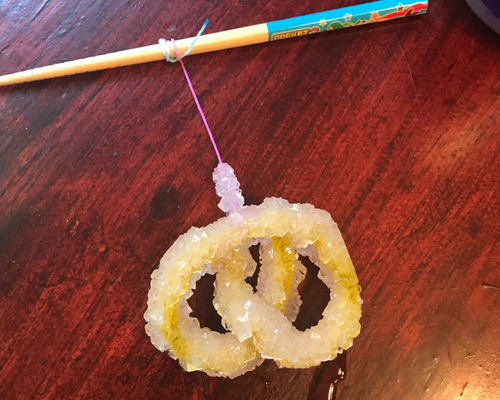 Roll your pipe cleaners into shapes. We used 1-2 piper cleaners for each design. 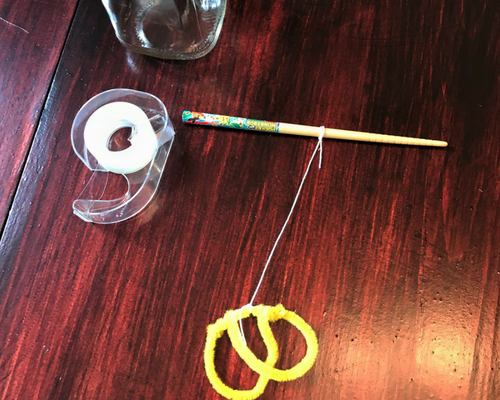 Use the thin string attach the pipe cleaner shape to the chopstick. 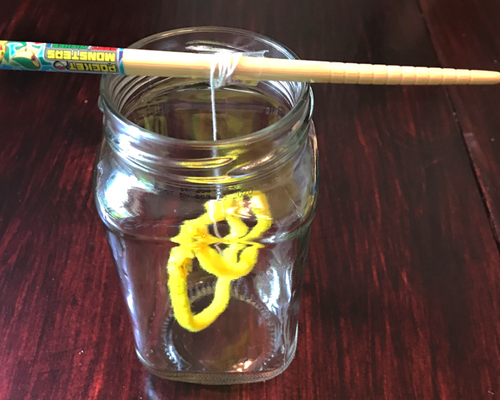 Hang it inside your glass, making sure the pipe cleaner isn’t touching the sides or bottom of the glass. Adjust the string with tape until it’s the right length. 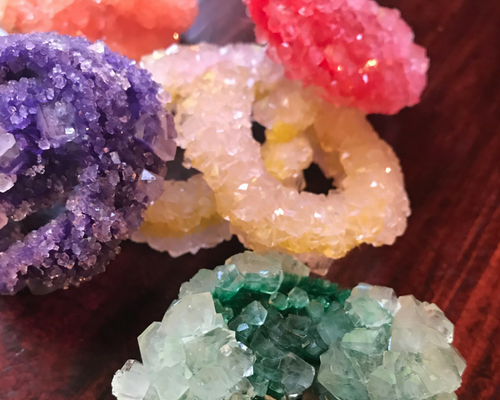 Take the pipe cleaner shape out of the glass container and add food coloring. 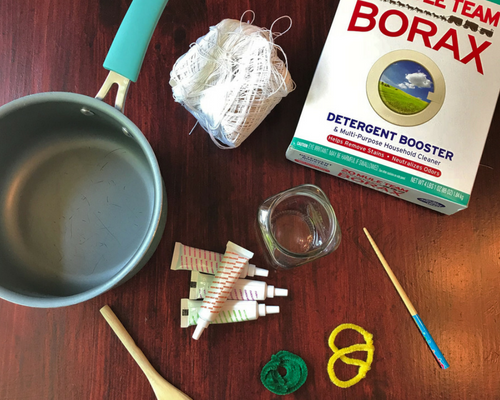 Once your borax solution is ready you will be pouring it directly in the container and stirring. 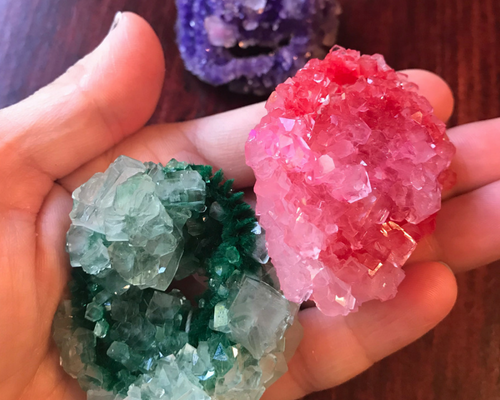 Add more food coloring until you get the desired color. 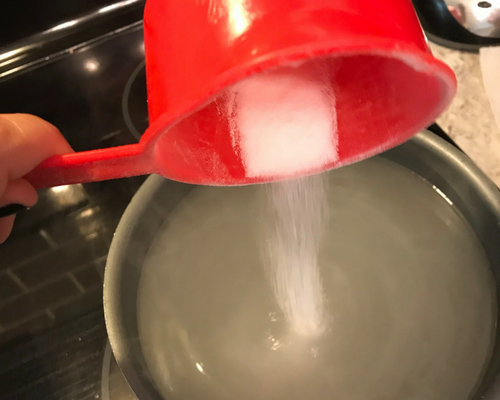 Pour about 6 cups of water into a pot, turn on the heat and add Borax until the water cannot dissolve any more. It will take a few cup fulls. 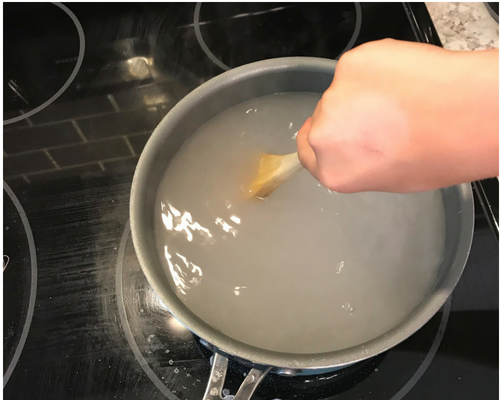 Keep stirring! 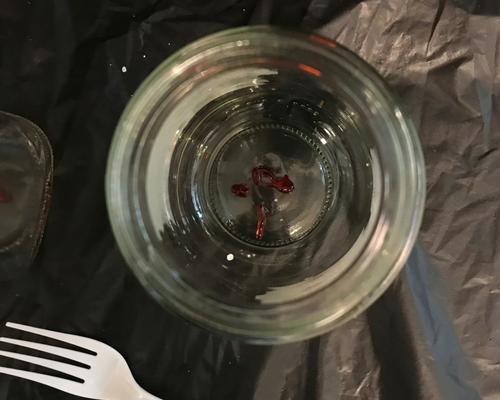 Wait 24 hours and pull the crystal out of the solution! Cut off the thin string.